Imagine you're jamming at a Maroon 5 concert, listening to Adam Levine talk and sing, and then, bam, a microphone comes flying at your face and smacks you right in the forehead. Well, that's exactly what happened to one fan at Maroon 5's Toronto show on Monday who got smacked in the face by Adam Levine's microphone. Don't worry, she was more than happy about receiving an injury from Levine. For real. So, here's how it happened. While getting ready to sing his next song, Levine's mic went out. He repeatedly tapped the mic to get it to work. Eventually, he got frustrated and threw the mic on the stage. Apparently, Levine didn't anticipate what would happen next, because the mic bounced off the stage, flew into the audience, and hit concert goer Stephanie Green in the head. Our first album came out in 2002, not one time in the history of our band's career — which I can barely even believe exists — not one time has the P.A. failed. Not one time, until tonight. In my flustered state, I might have thrown my microphone on the ground and then it might have bounced off of the ground, into poor, sweet Stephanie’s face... I felt so utterly terribly that I had perhaps wounded this young fan. She is now enjoying the concert from the side of the stage, as she should be. What we're gonna do is, we're just gonna pretend that none of that happened. 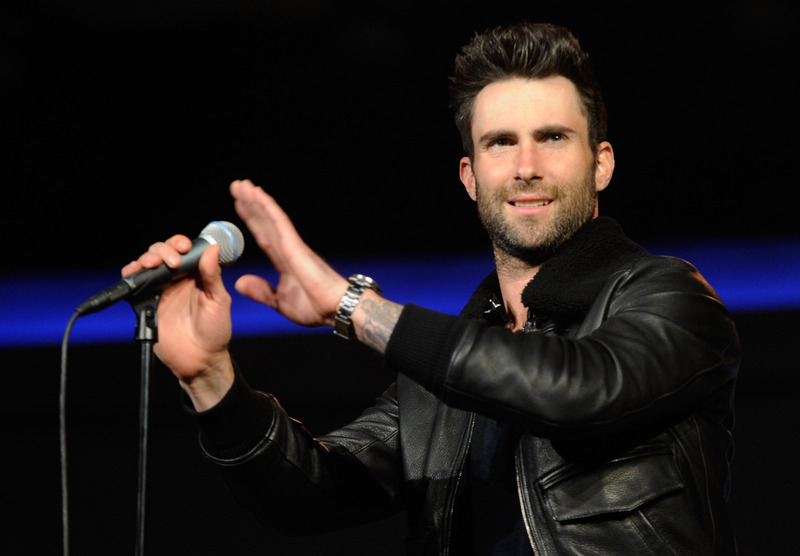 I guess getting a bump on your forehead is totally worth it — if you're a huge Maroon 5 fan.